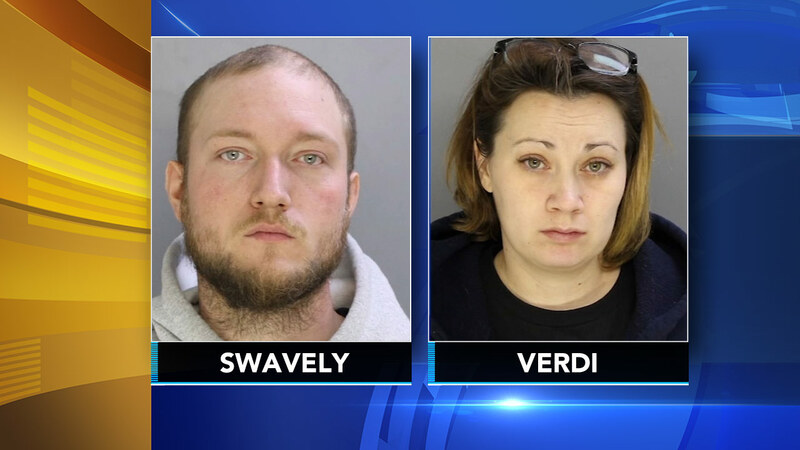 EAST GOSHEN TWP., Pa. (WPVI) -- Two people have been charged with stealing holiday gifts and cash left out for neighborhood trash collectors in Chester County. Police were tipped off when someone called about a man rummaging through the trash in East Goshen Township. Officers then spotted an illegally parked vehicle with 30-year-old Kimberly Verdi inside. A short time later, police say 28-year-old Joshua Swavely walked up. Investigators say the pair came to the township specifically to look for gifts left for trash collectors. Authorities also say the pair committed similar crimes in West Goshen Township. Both are facing a number of charges including unlawful taking.